Share your schedule Let your co-workers, family, and friends see your calendar while letting you view schedules that others have shared with you. When you know when everyone is free or busy, scheduling is a snap. Get your calendar on the go With two-way syncing to your mobile phone’s built-in calendar or a mobile version of Google Calendar that’s made for the small screen, you can access your calendar while you’re away from your desk. Never forget another event again Customizable reminders help you stay on schedule. You can choose to be notified by email or by text message sent right to your mobile phone. Send invitations and track RSVPs Invite other people to events on your calendar. Guests can RSVP to your events by email or via Google Calendar. Sync with your desktop applications Access your calendar however and whenever you want by syncing events with Microsoft Outlook, Apple iCal, and Mozilla Sunbird. Work offline Know where you’re supposed to be even when you don’t have access to the internet. With offline access, you can view a read-only version of your calendar no matter where you are. 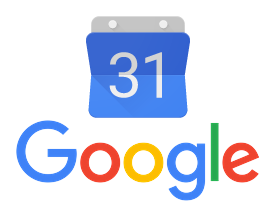 Do you use Google Calendar to keep track of your timetable? Share your experience in the comments.